Bunnies may have been sleeping all day listening to the rain while we've been out and about but once we came home they were busy jumping about and shaking their tails. Even though I have been flailing around I have made many more Maybelle flowers, the total is now 95. 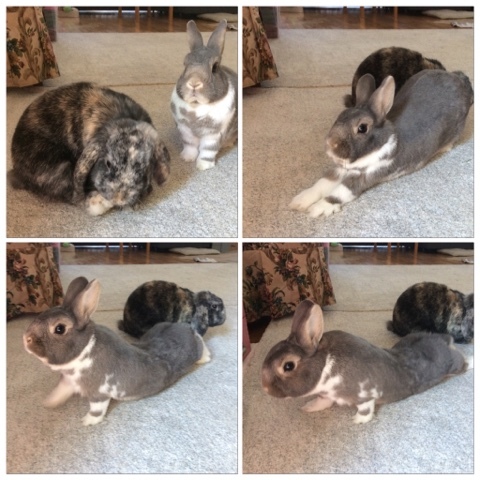 I didn't catch the yawn at the end though:( But yoga-bunnies are great!